Anobiid Beetle are found in structural timbers made of softwood, such as beams, sills, joists, studs, subflooring and plywood. Habits: Anobiid beetles infest seasoned softwood and the sapwood of seasoned hardwoods. 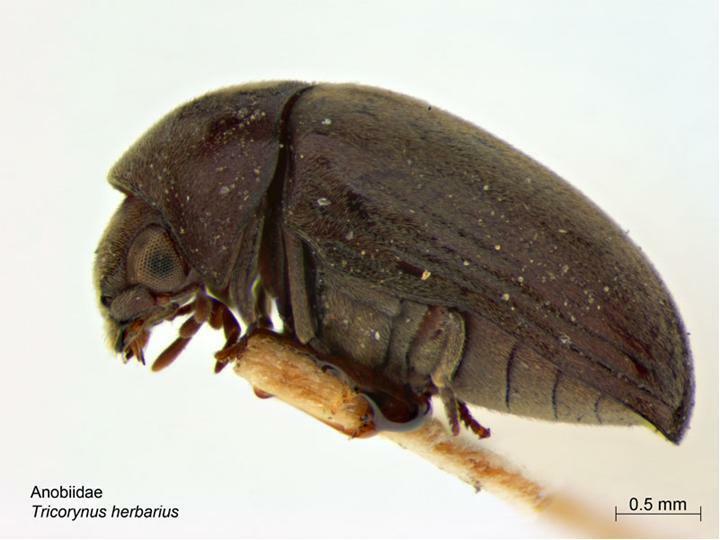 Habitat: infestations of Anobiid beetles are found in structural timbers made of softwood, such as beams, sills, joists, studs, subflooring and plywood. In addition, Anobiids will infest hardwood furniture, wall paneling, window and door molding, hardwood floors, and furniture. Woods such as maple, beech, poplar and pine are especially susceptible to attack. The beetles prefer to infest wood with high moisture content in poorly ventilated areas in crawl spaces of houses, utility rooms, and garages. Under favorable conditions, the infestation then spreads into walls and other areas of the structure. Infestations develop slowly, but wood can be reinfested year after year. Threats: Damage to infected wood can be substantial.